Pro Shot l4.7 Rotary Laser with detector. Pro Shot l4.7 Rotary Laser with detector. 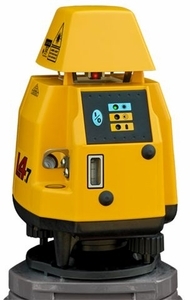 L4.7 Rotating Laser offers Extreme accuracy and proven performance. The Pro Shot™ L4.7 self leveling construction laser delivers best in class accuracy. Pro Shot l4.7 Rotary Laser with detector. Offers Extreme accuracy and proven performance. Delivers best in class accuracy. Tri County Transit believes in supplying the top brands for all of your surveying and leveling needs. That’s why we carry AGL, Pro Shot, and Northwest lasers at affordable prices. These products includes grade, pipe and rotating lasers.